Uncle Eddie called me Saturday morning and said he was on the way down to our farm, and he was bringing me something! 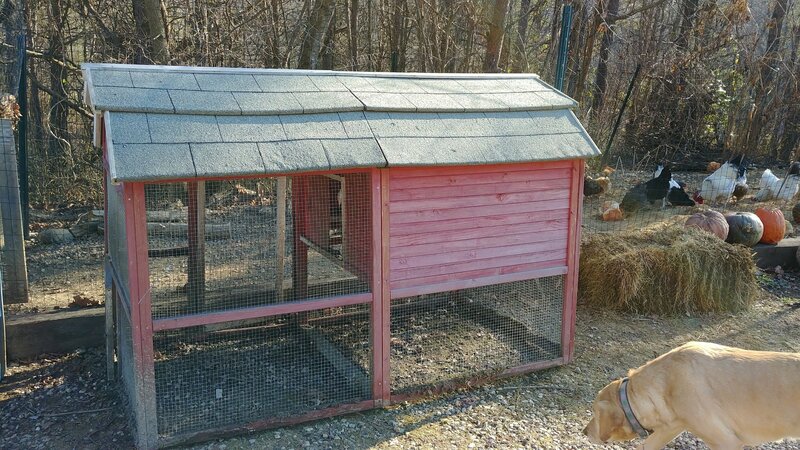 When he got here, he had this gorgeous little coop from Tractor Supply on his trailer! It belonged to one of his church members, but she gave away her hens and decided not to have chickens anymore so she told Uncle Eddie to give it to anyone he knew who wanted it, and he immediately thought of me! He and another guy unloaded it for me, and then they said they had to get back because they were making food baskets with the church. I’m thrilled to get this! This is one of the best surprises ever! I can’t wait to use it this spring!